I visited Gallipoli some years ago. I couldn’t afford to take the commercial tours so I would catch the local bus to Kabatepe and then walk for an hour down the beach to Anzac Cove. I would walk back at the end of the day expecting to meet the bus but I never did catch the bus because I would be invited to dinner by one of the Turkish families that would be picnicking under the pine trees along the coast. They would ask me where I was from and I would say New Zealand and that I had been looking at the place where the New Zealanders landed in 1915. I would ask my hosts why they were so kindly disposed to New Zealanders since we had tried to invade their country. They invariably suggested that we had picked a rather bad place to land because the young commander on the top of the hill was Kemal Ataturk and that we helped create his reputation and therefore helped create modern Turkey and my hosts would add but that was a long time ago and would I like another slice of baklava. It is the same generosity that Ataturk voiced when he said the much quoted words that are on the Ataturk memorial on the south coast at Karehana Bay here in Wellington. “Your sons are now our sons, having lost their lives in this land.” It seems amazingly generous since twice as many Turkish soldiers died defending their home than the invaders did. 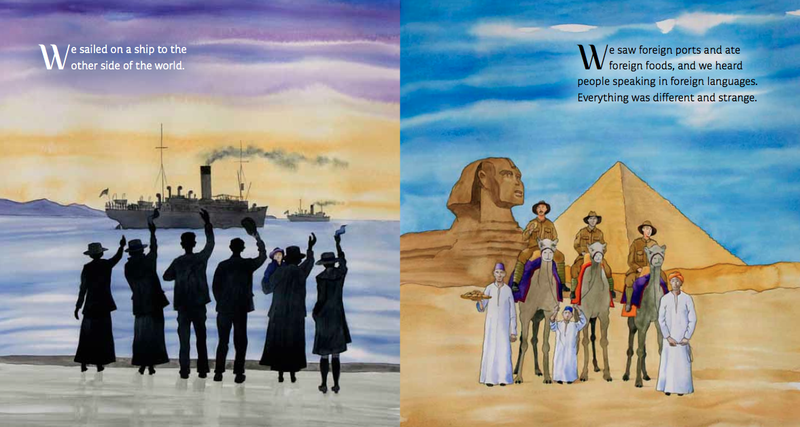 Here are some pages from the book. 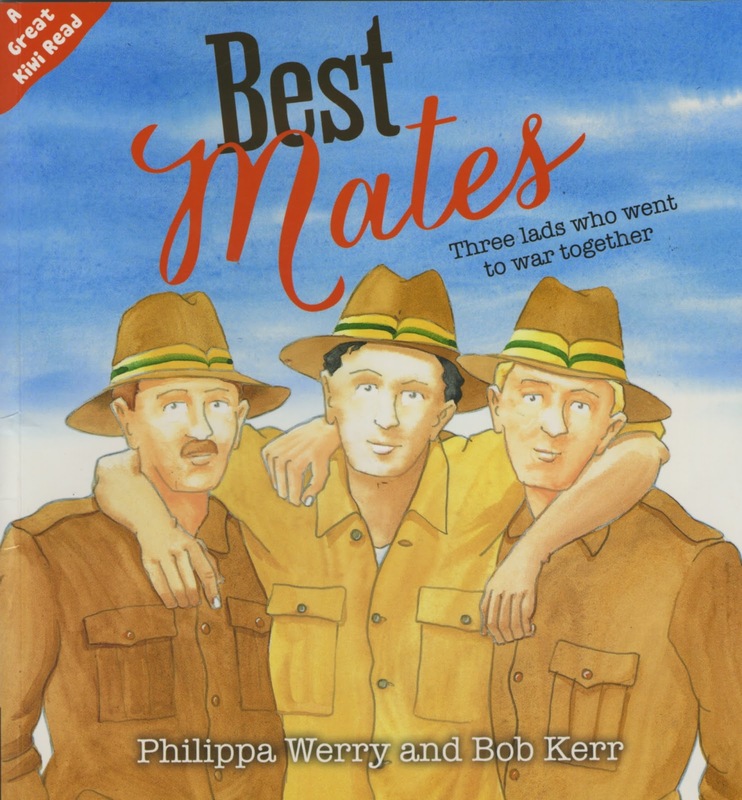 The characters in Best Mates dashed off to the first World War without giving much thought to what they would encounter. 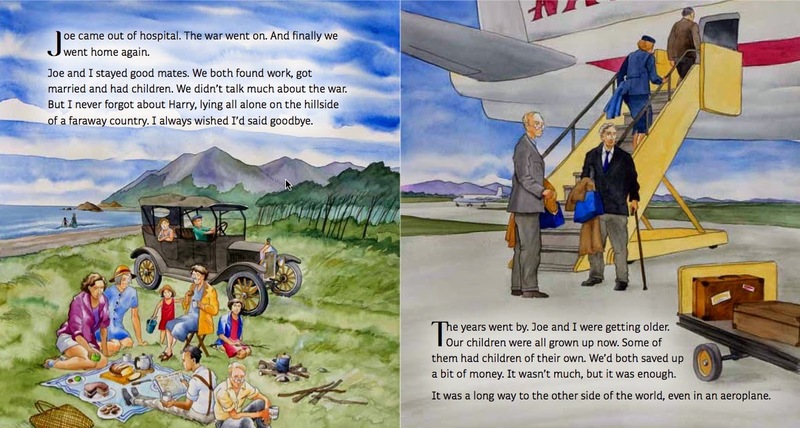 Mark Briggs and Archibald Baxter gave it a lot of thought and refused to go. 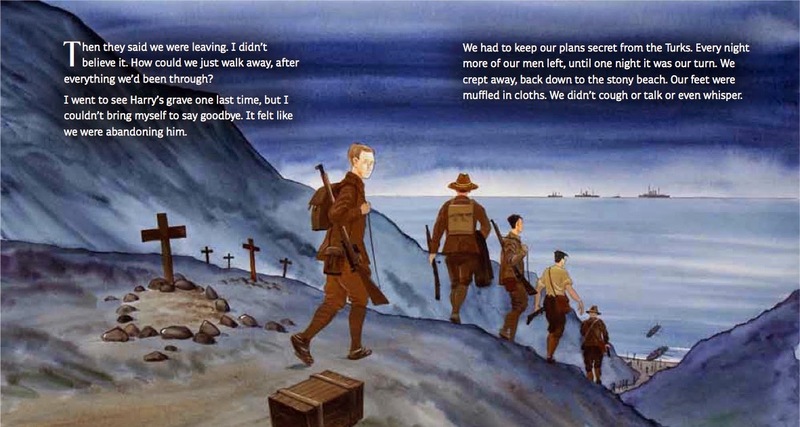 They were sent to prison and then, along with fourteen other conscientious objectors were taken to the frontline in France where Baxter, Briggs and Lawrence Kirwan were administered Number One Field Punishment in an attempt by the New Zealand Government to persuade them to put on the kings uniform. Here are some images from the show. Viewers are invited to walk along the wooden duckwalk to view the large painting. The text running along the top of the seven panels is a quote from Baxter's book We Will Not Cease. It reads: "Walking along the duckwalk from the gate I observed a long row of stout high poles. These poles were for the infliction of number one field punishment." I'm a painter writer and illustrator working in Wellington, New Zealand. People have asked if they can see some of my work on line, so here we are. Click on the pages above to see a list of exhibitions, the books I've had published and some reviews, and occasional life drawings. On this page I'll put up images of my recent work. Let me know what you think.